You’ve all done it before: gone overboard, that is. Over-ate, over-drank, over-smoked, over-indulged — whatever it is you’ve overdone, your body becomes the receptacle of everything you plugged into your system over the weekend or over the course of your adult life. We’re all in the habit of giving ourselves a break, like a vacation from work, a spa day for our skin, etc., so why not give our digestive system a little time off as well? Common sense says you need to eat and drink for nourishment but the simple truth is a majority of the “stuff” we stuff ourselves with is far from healthy and we’ve been clogging up our system for years. It’s also now common knowledge that a bad diet can lead to all sorts of illnesses and ailments so, sadly, what tastes really, really good is probably really, really bad for you in the long run. So, what to do when you feel like your body is slowing down? (The symptoms: sluggishness, lethargy, bad skin, insomnia , indigestion, chronic pains.) Go on a fast. 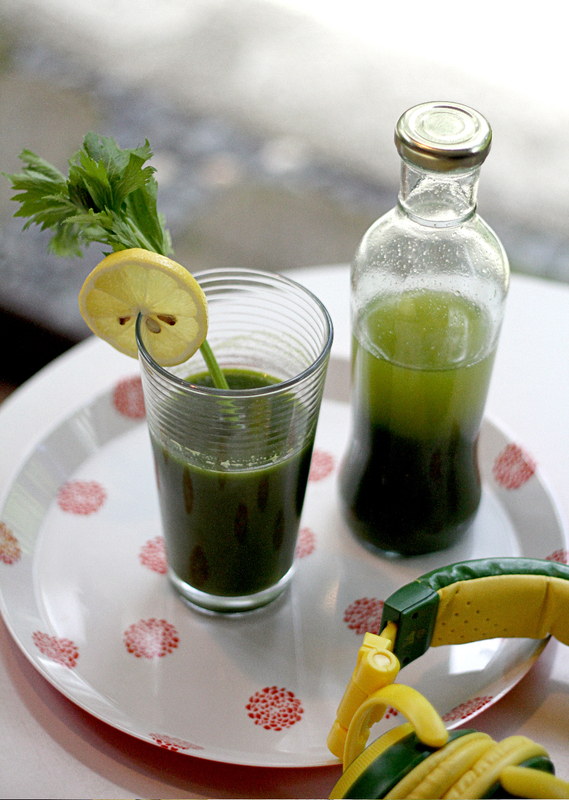 A liquid fast, one that consists of nourishing your body with something that isn’t hard for it to process. I have tried several fasts in the past, like just a whole day of water and lemon or the Beyoncé-famous “Master Cleanser” or “Lemonade Diet” that takes a minimum of 10 days of drinking a special concoction of water , lemon, cayenne pepper to be effective, but which whittled down the singer/actress’s size for her role in Dream Girls. There are, of course, friendlier versions for the first-time faster, and even for the “refresher” faster such as myself. I signed up for a one-day liquid fast via Juju Cleanse, which promised to deliver a whole day’s worth of freshly squeezed and blended organically grown fruits and vegetables, powered up with other ingredients rich in anti-oxidants such as Himalayan Crystal Salt and Honey. 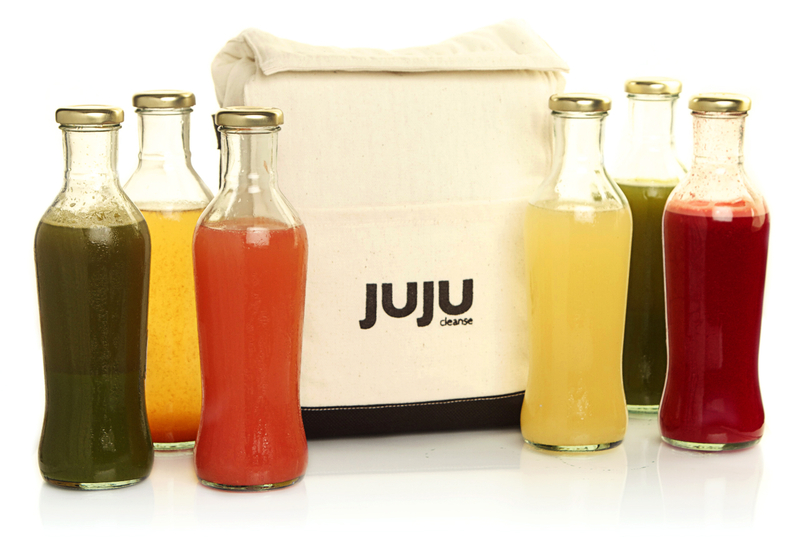 If you check out their website, http://www.jujucleanse.com, you will be welcomed by a very professional and information packed website. I decided to do the Level 1 cleanse for one whole day, choosing a quiet Sunday and basically closing my social calendar out to everyone and anything to avoid foodie temptation. 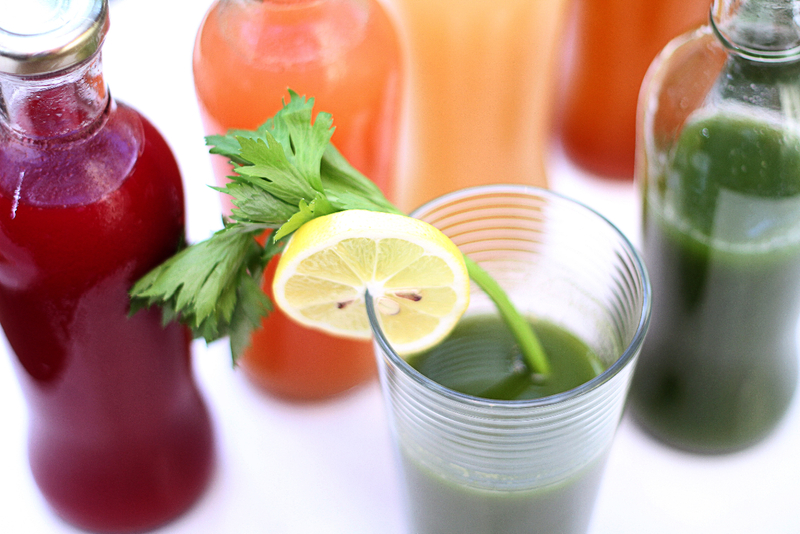 The Level 1 cleanse as explained to me, was the mildest in terms of taste and intensity, incorporating more fruits (ergo sweeter) than vegetable juices which would make the drinks go down with a lot more ease. Delivered to my home the night before, I was impressed with the environmentally friendly bag my eight juices came in that also had a reusable ice pack (which could also be used as a heating pad in the future), a list of instructions and ingredients of each of the juices and a bag of fresh mint so I could start my “fast” morning with a nice cup of mint tea. The schedule was basically to take a juice every two or three hours throughout the day, and not much else. I needed to stay hydrated during the day so it was recommended I supplement this with a lot of water and herbal teas; and if — and only if — I could not fight off the hungry pangs, some healthy snacking was allowed in the form of a few carrot or celery sticks.The concoctions were a delight to look at, all in glass bottles and in rich, bright colors of green, red and yellow; it made fasting look like a lot of fun. What is the main benefit to this kind of detox ? First off, when you give your body a holiday from eating, you’re actually allowing your body’s energy and enzymes to focus on the absorption of nutrients and the elimination of toxins. In other words, on a normal day, your body would have to work extra hard to “find” the nutrients you need from your usual, probably not-all-that-healthy breakfast, lunch, snack, dinner and work even harder to eliminate what is slowly poisoning your body. Yes, I said “poisoning.” So, when you give your body a chance to just zero in on absorption and elimination, it actually gives your insides a much-needed (and much-appreciated) tune-up. After a fast, one normally feels they can sleep better and have an improved metabolism; the only precaution while in the middle of a fast is to go easy on the exercise. Your body will really need to rest up, inside and out. A planned lazy Sunday had me first on the weight scale and then sipping my fresh mint tea. The rest of the day had me going from drink to drink, ones with names like Green Bomb (green veggie juice that pumps you up with enzymes) to a Red Giant (a delicious combo of beets, pineapple, carrots and ginger) that helps you, er, “eliminate” all the yuckiness inside you. There were times that the Cheetos (my weekend guilty pleasure) seemed to be yelling at me from within the pantry door, but I stayed with it, all the time focusing on how much better I would feel the next day knowing that I had given my internal organs a little spa day. I fell asleep relatively early that night, and it was a deep sleep, a welcome change to my normal “wake-up-at-a-drop-of-a-pin” sleeping pattern. I didn’t feel hungrier than normal and wasn’t craving any particular food (especially not the ones I thought I’d indulge in ones the fast was over). And, oh yes: I lost about two pounds. Call 0905-262-2529 or e-mail info@juju.com.ph for more information.